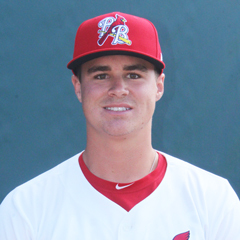 Welcome to The Cardinal Nation’s daily recaps of Arizona Fall League action, focusing on St. Louis Cardinals prospects competing as members of the Surprise Saguaros. Results from the game played Tuesday, October 9th. The Surprise Saguaros began the 2018 Arizona Fall League schedule by absorbing a 10-8 home loss to Salt River. 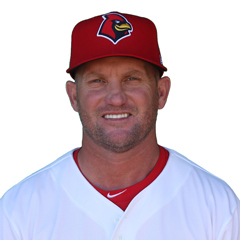 Manager Stubby Clapp used four hurlers who yielded a combined 14 hits, resulting in 10 runs, nine earned. All four pitchers come out of the Pittsburgh organization. Right-hander Dario Agrazal made the start and gave up five tallies on eight hits during his five-inning stint. All five runs crossed home during the fourth inning. Bucs southpaw Blake Weiman tossed a clean sixth, putting him in line for a possible win after his teammates knotted the game up in the home half of that frame. Instead, Weiman (L, 0-1) was touched for two tallies, one earned, while retiring just two seventh-inning opponents. Two more righties, Geoff Hartlieb and Matt Eckelman, tossed the last 2 1/3, yielding two and one run, respectively. The Saguaros offense banged out 12 hits, led by Toronto’s Vladimir Guerrero, Jr who went 3-for-5 with two doubles, a run scored and three knocked in. St. Louis was represented by second baseman Andy Young and catcher Jeremy Martinez, who both got the start at their positions. Number six hitter Young’s only hit in four at bats was a sixth-inning triple, scoring Guerrero to close the gap to 5-4. Young raced home on the play on an errant throw by the Rafters’ center fielder Monte Harrison (MIA). But what Young earned with his bat, he took away with his glove. His fielding error in the seventh led to the unearned score charged to Weiman. Martinez was also charged with a passed ball during his nine innings behind the dish. The California native went hitless in four at bats while batting in the number eight spot. Martinez left one runner in scoring position and grounded into a double play. The final Cardinals’ farmhand to see action was Lane Thomas. Thomas entered as a pinch runner for Guerrero after the latter’s two-out double in the ninth drove in two and closed the gap to 10-8. Thomas took third on defensive indifference but went no further after Cavan Biggio (TOR) grounded out to first to end the game.